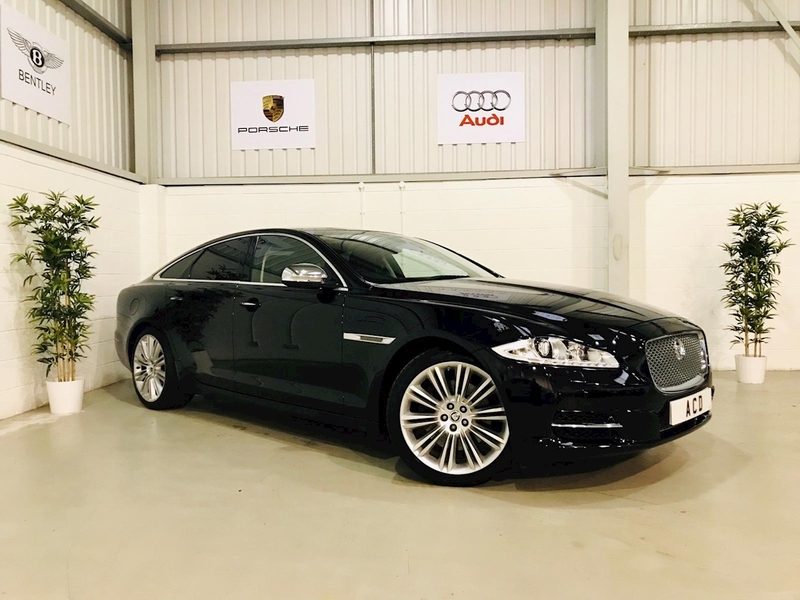 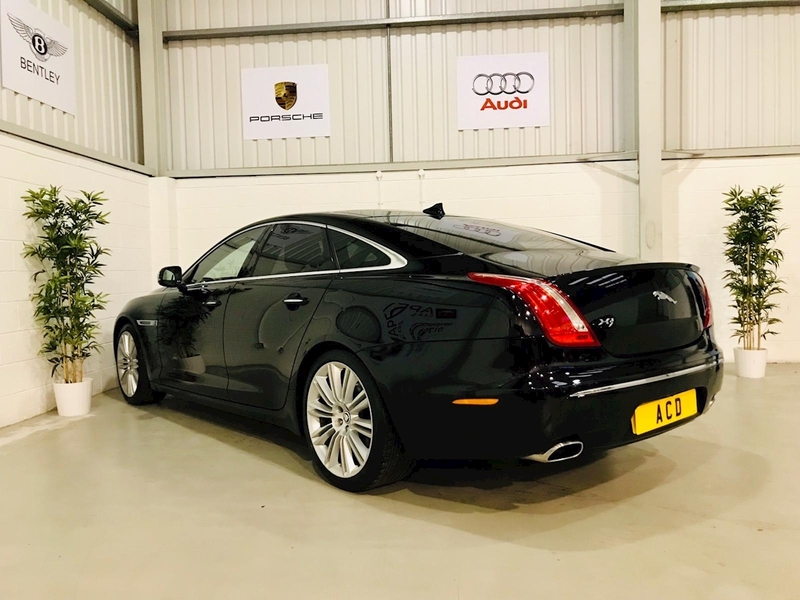 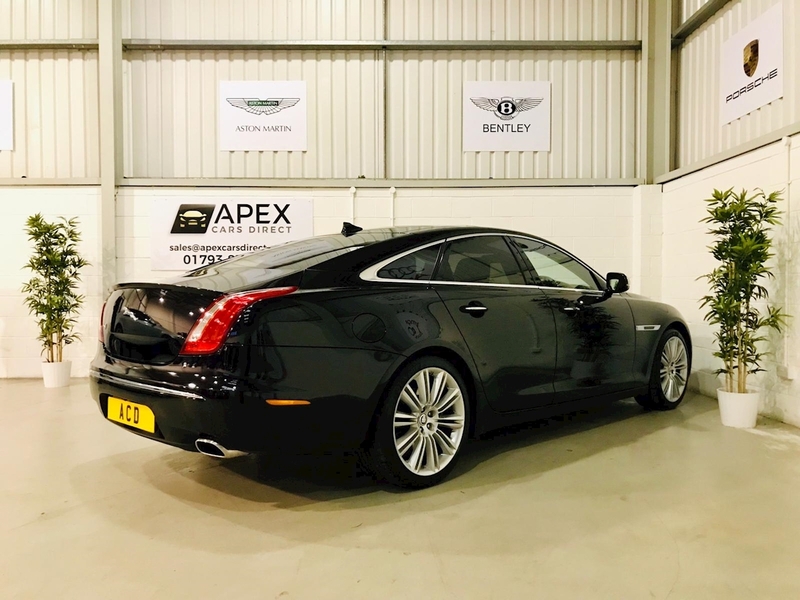 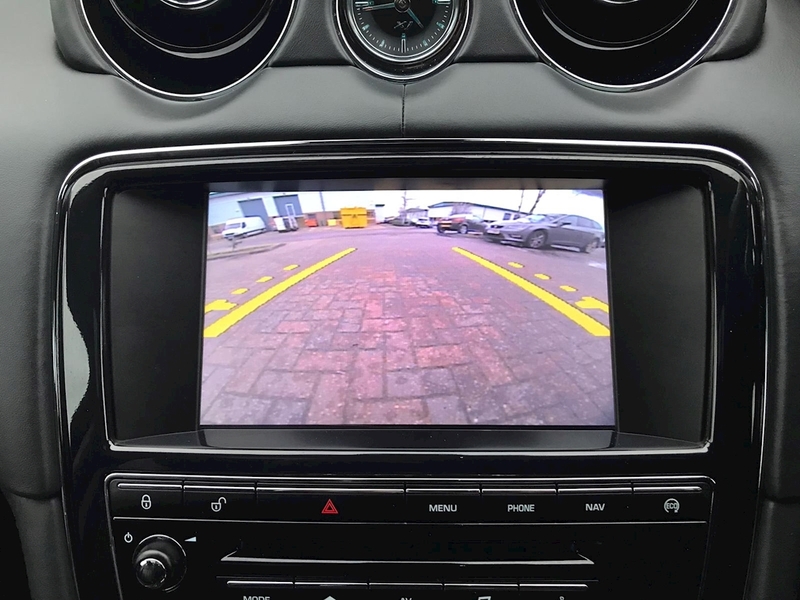 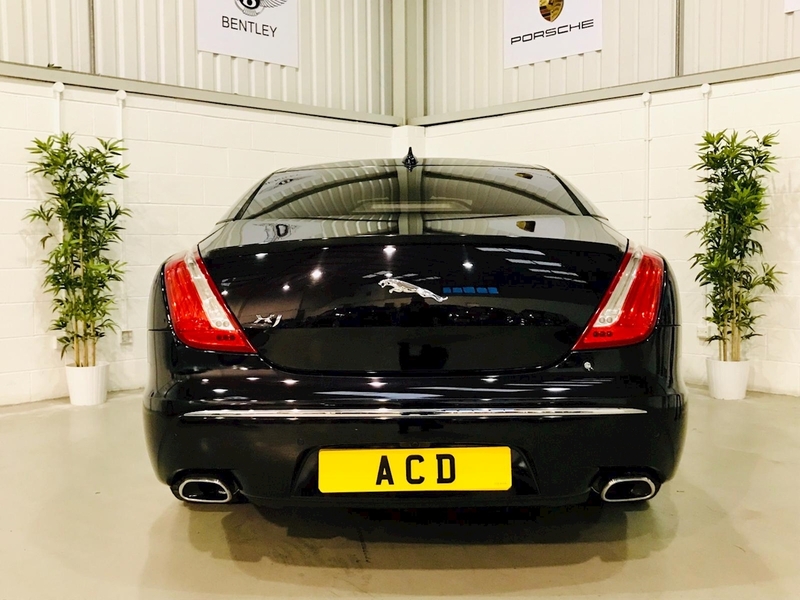 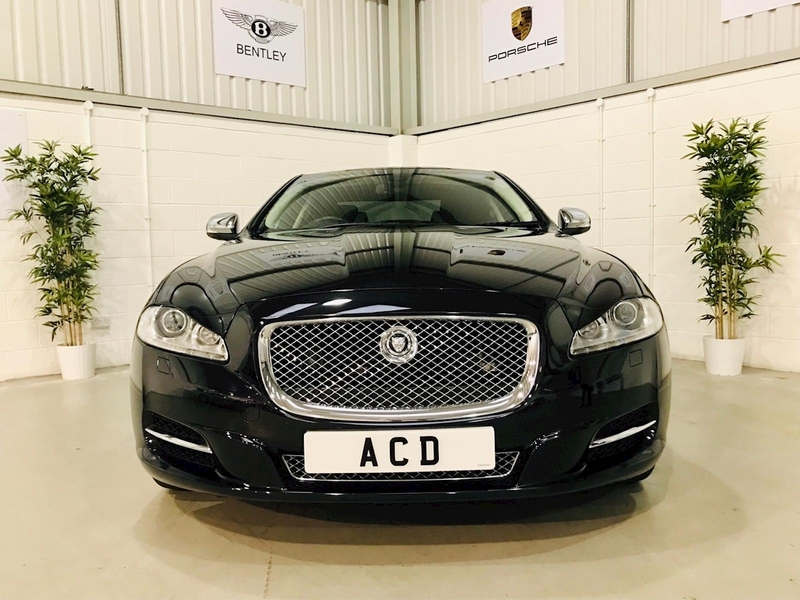 Apex Cars Direct are pleased to offer this stunning Jaguar XJ Portfolio which has arrived at our indoor showroom in Swindon, Wiltshire. 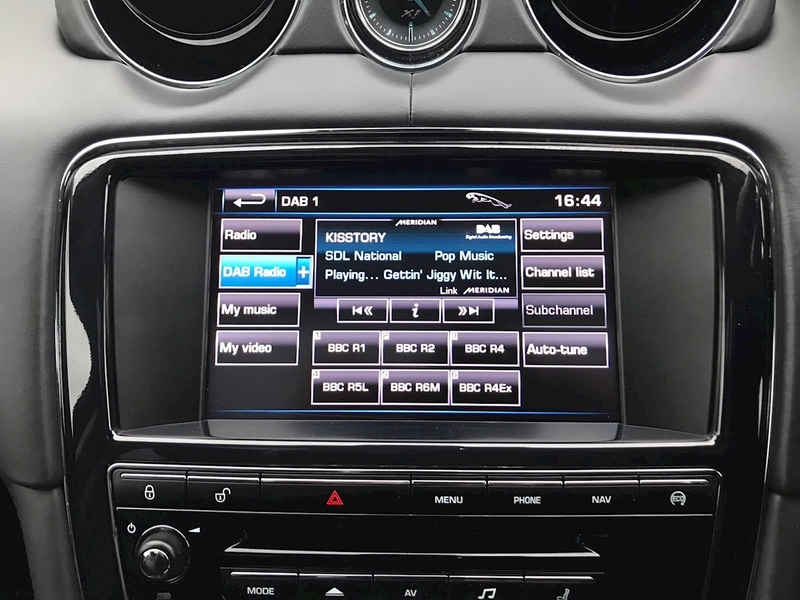 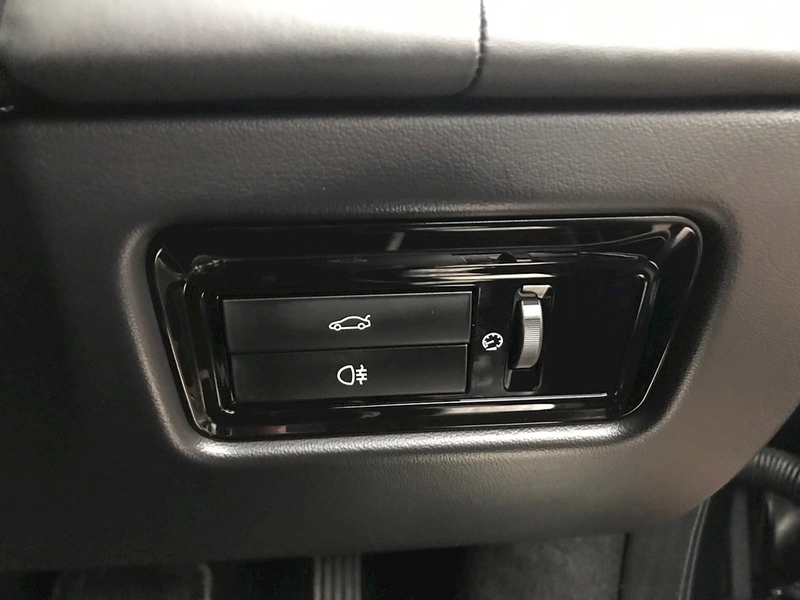 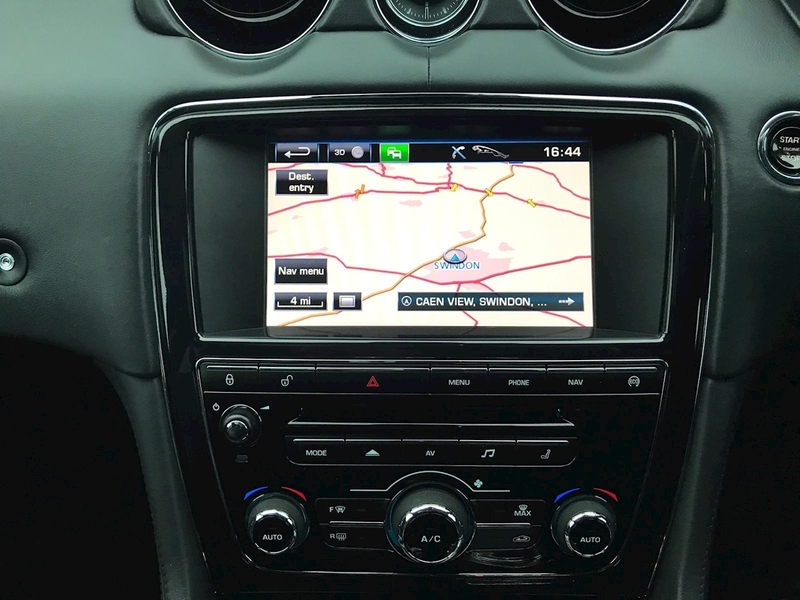 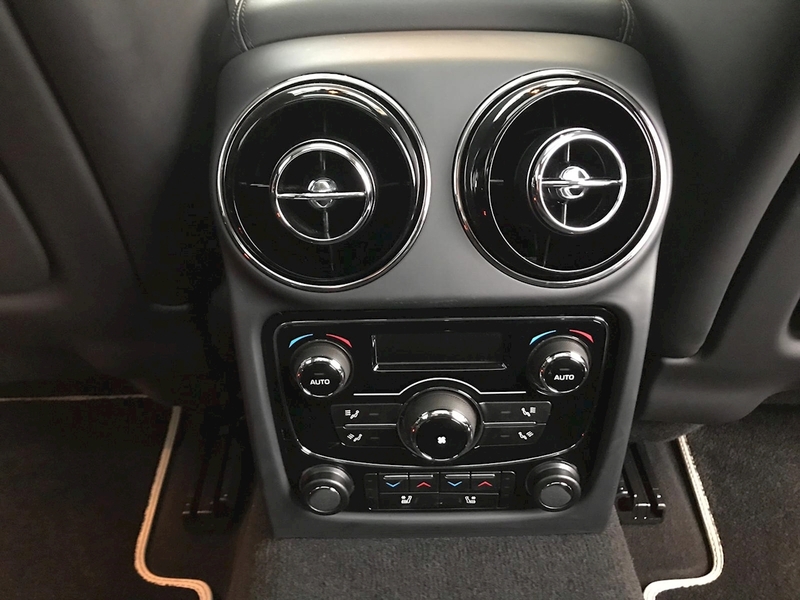 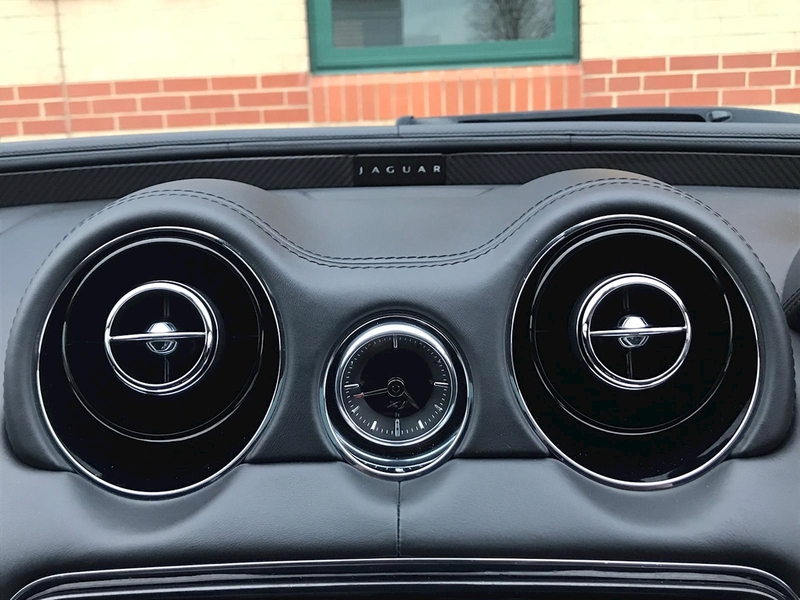 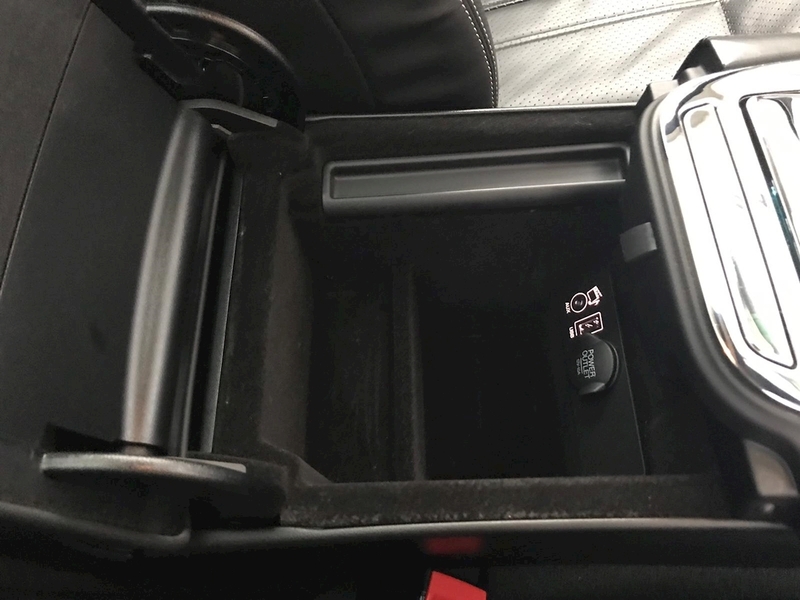 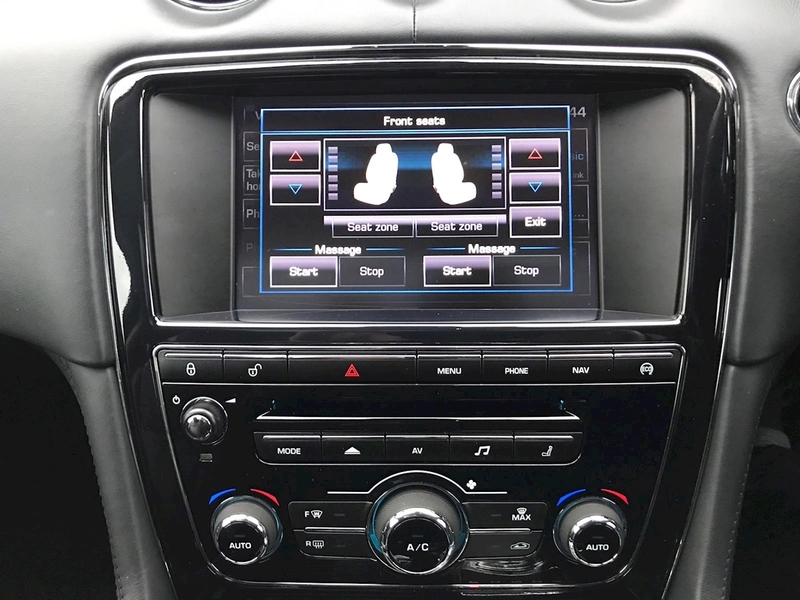 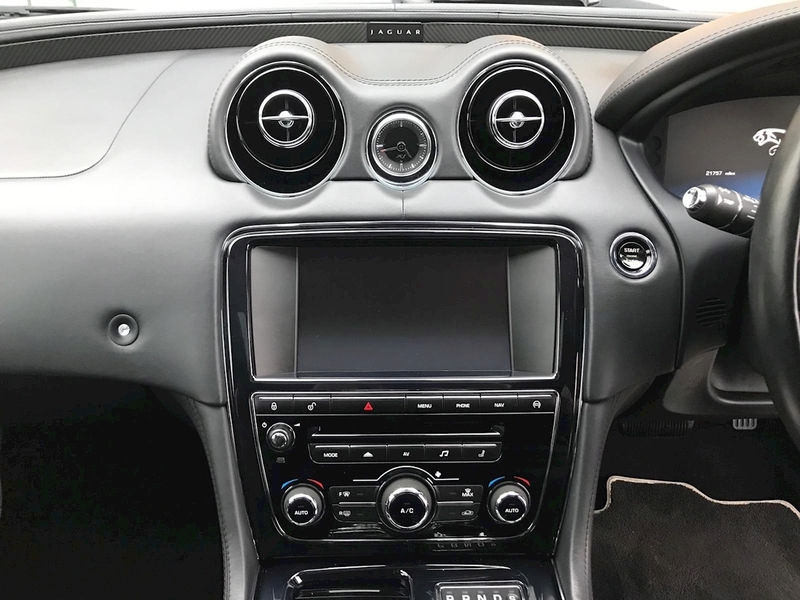 The magnificent specification includes Satellite Navigation, In Dash DVD functionality and Bluetooth Headphones, Panoramic Twin Sliding Glass Sunroof, DAB Digital Radio, 30GB Internal Hard Drive, 20 Speaker Meridian Surround Sound Speaker System Bluetooth Phone and Music Streaming Connectivity, USB/Aux Connections, Voice Control, Electric Heated/Cooled Front Seats with Memory, Heated Multi-function Steering Wheel with Tilt/Telescopic Adjustment, Auto Dimming Rear View Mirror, Blind Spot Monitor, Heated/Cooled Rear Seats, Front & Rear Comfort Climate Control, Bi-Xenon headlights with LED signature and Headlight Cleaners, Cruise Control, Speed Limiter, Driver Selectable Electronic Responsive Suspension, Heated Windscreen, Privacy Glass, Rain Sensing Wipers, Keyless Entry & Go, Power Folding Heated Auto Dimming Exterior Mirrors, Front & Rear PDC including Rear View Camera, Tyre Pressure Monitoring System, Stability Control, EBD, plus much more. 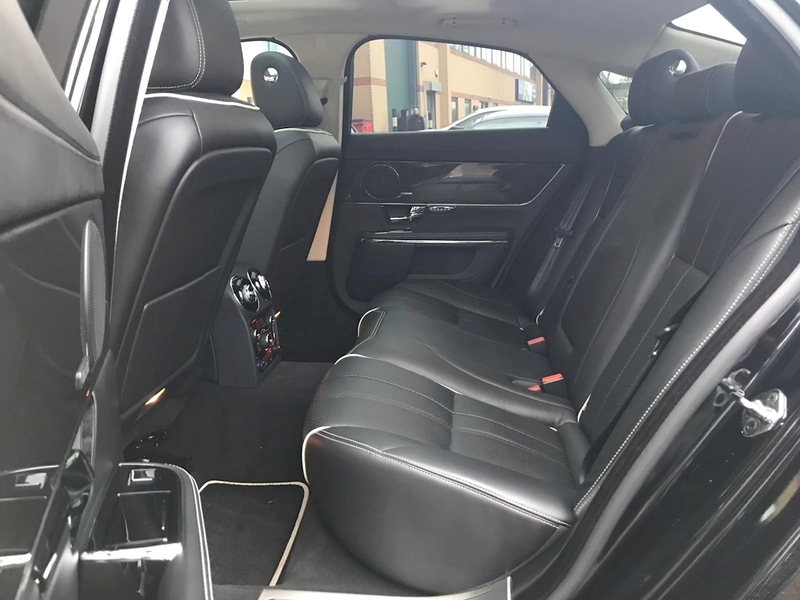 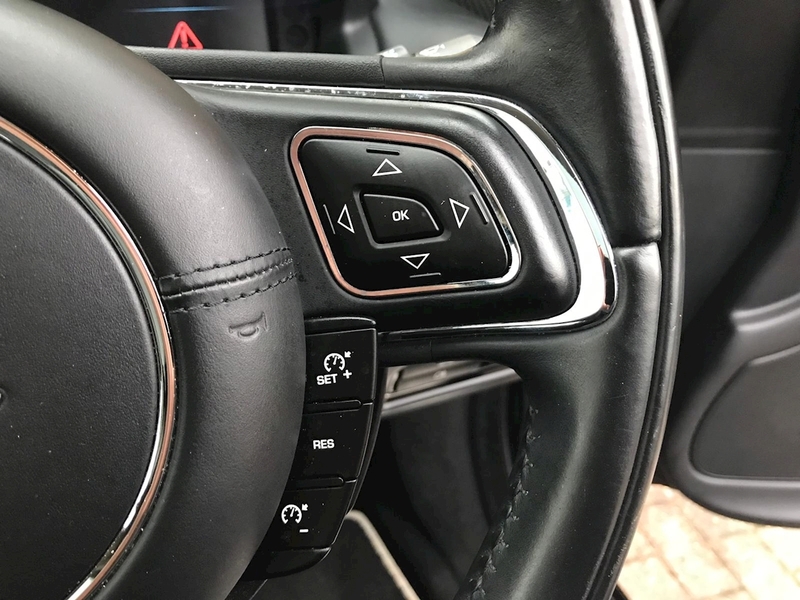 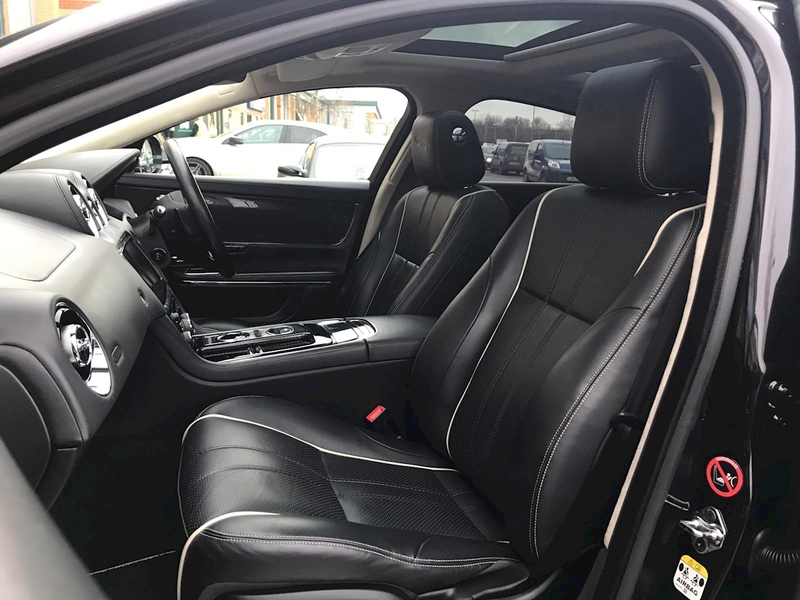 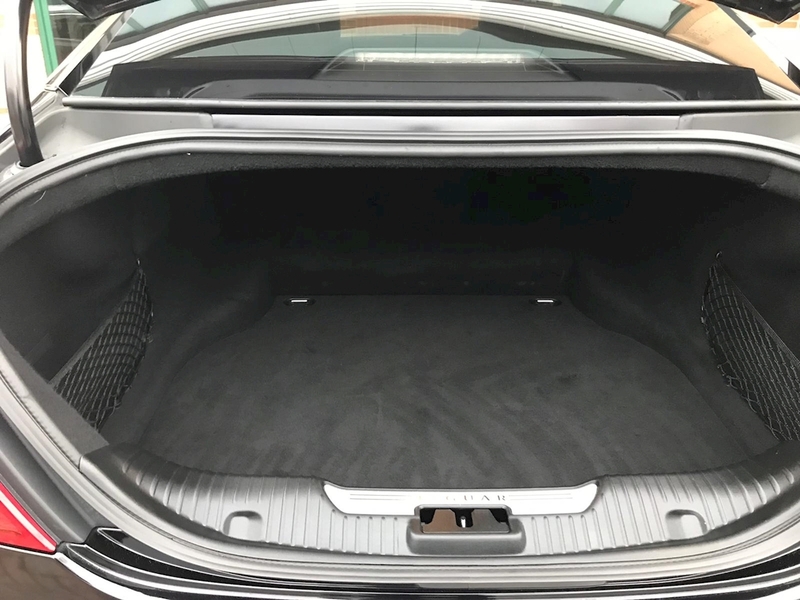 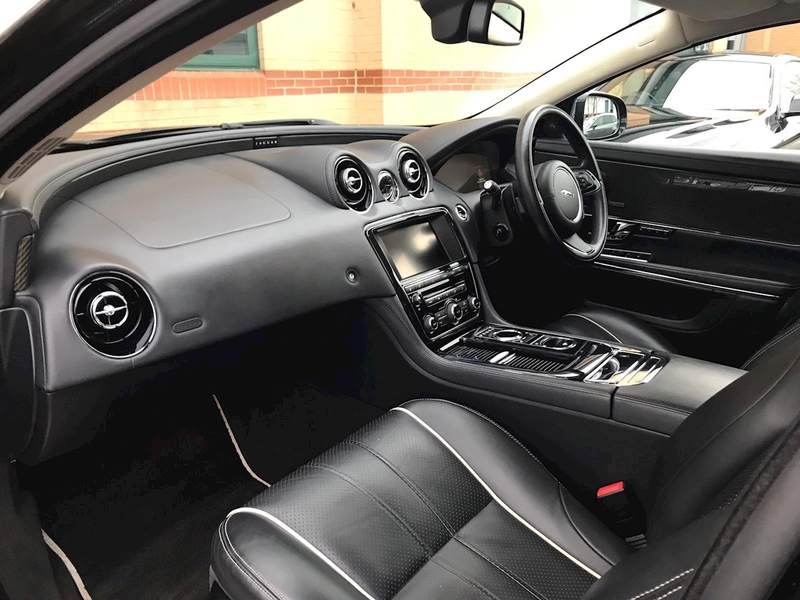 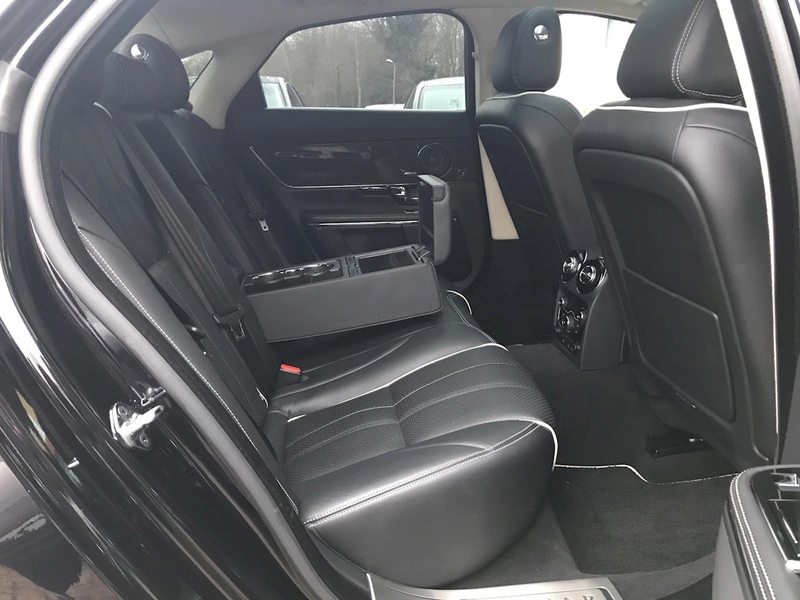 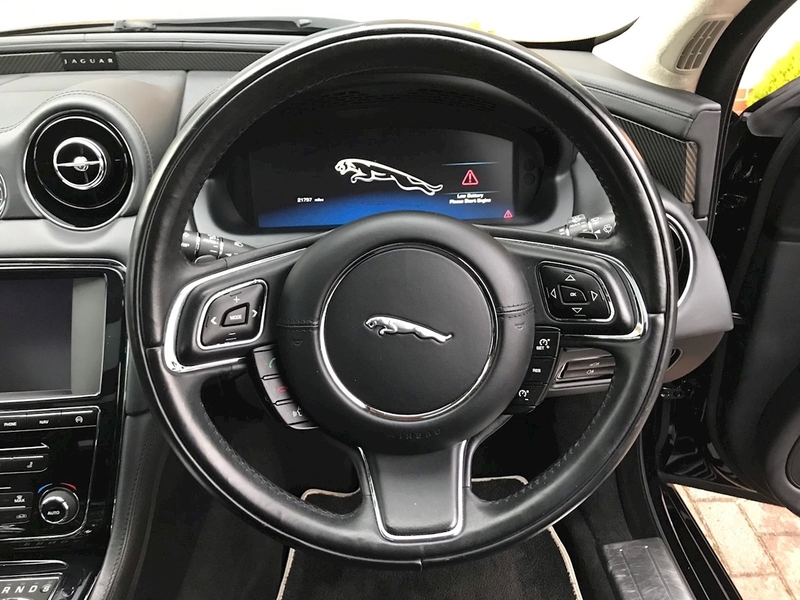 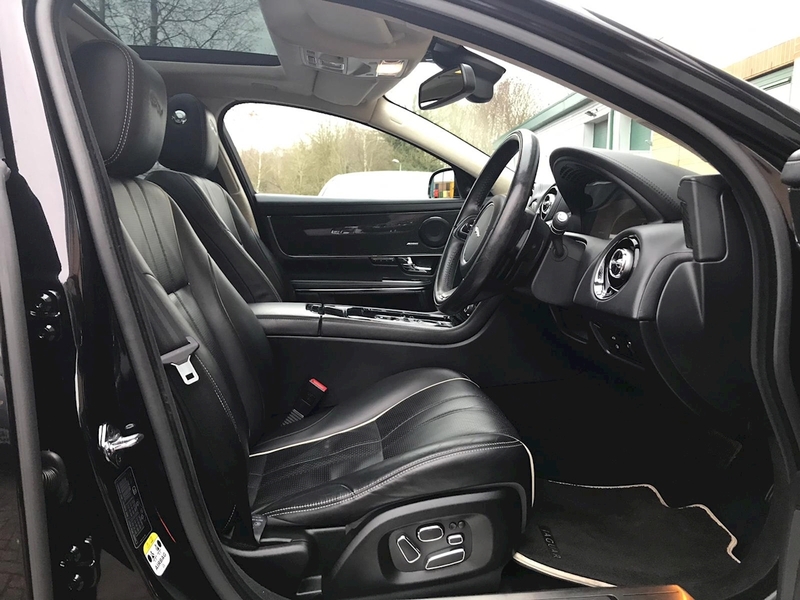 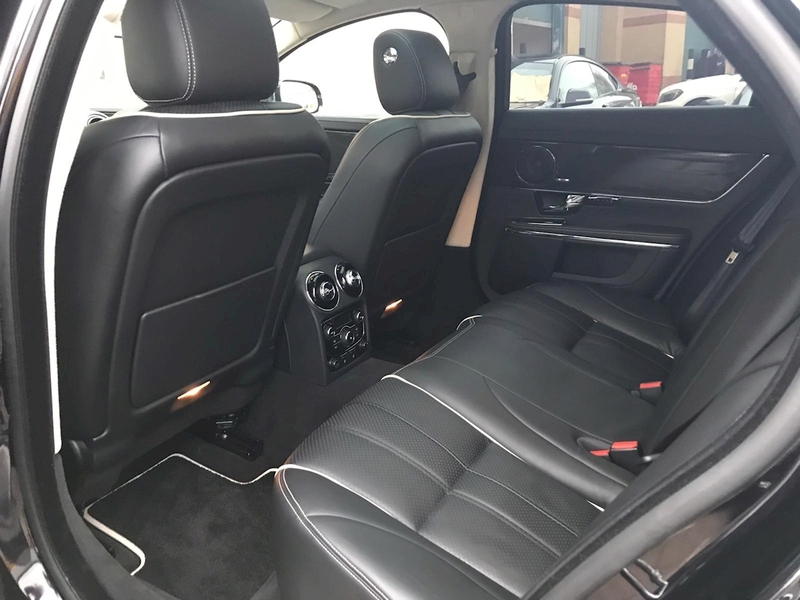 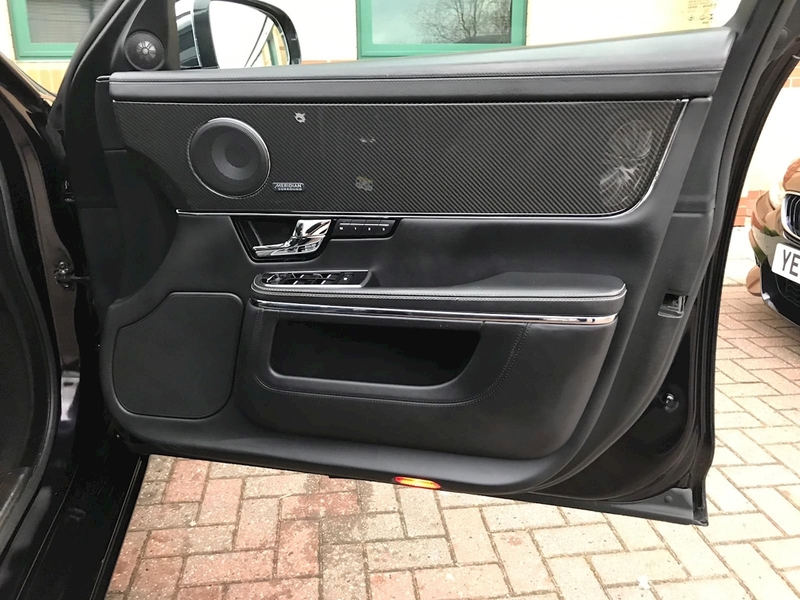 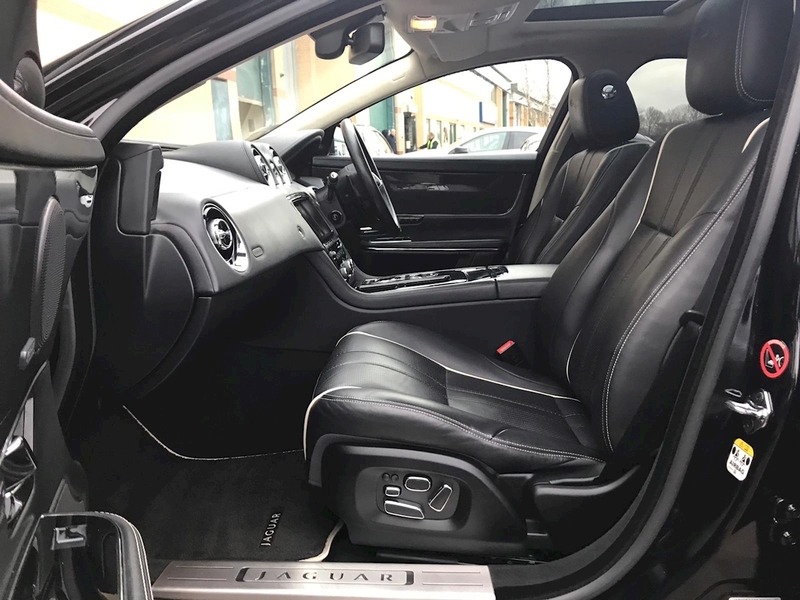 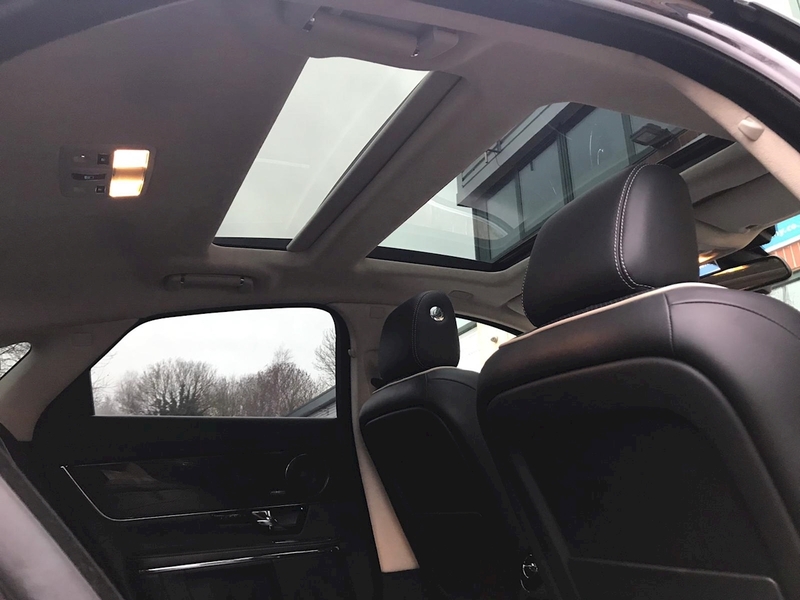 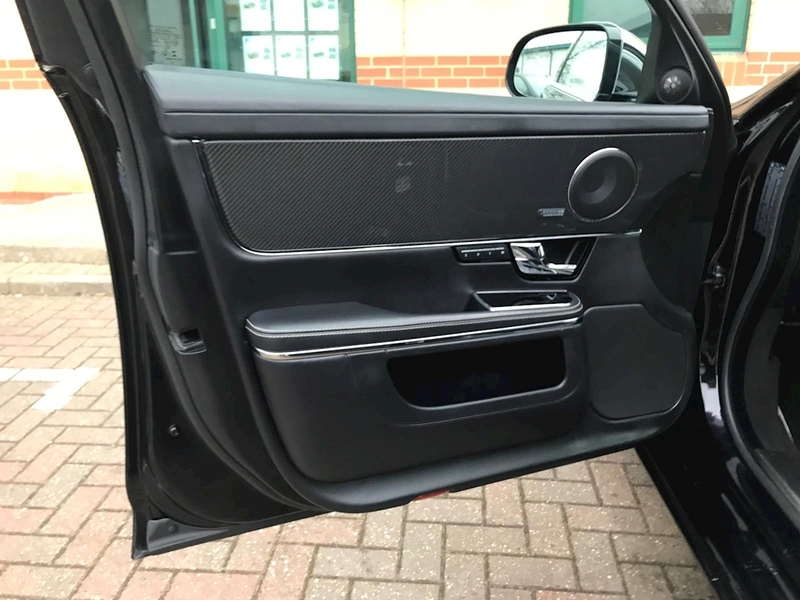 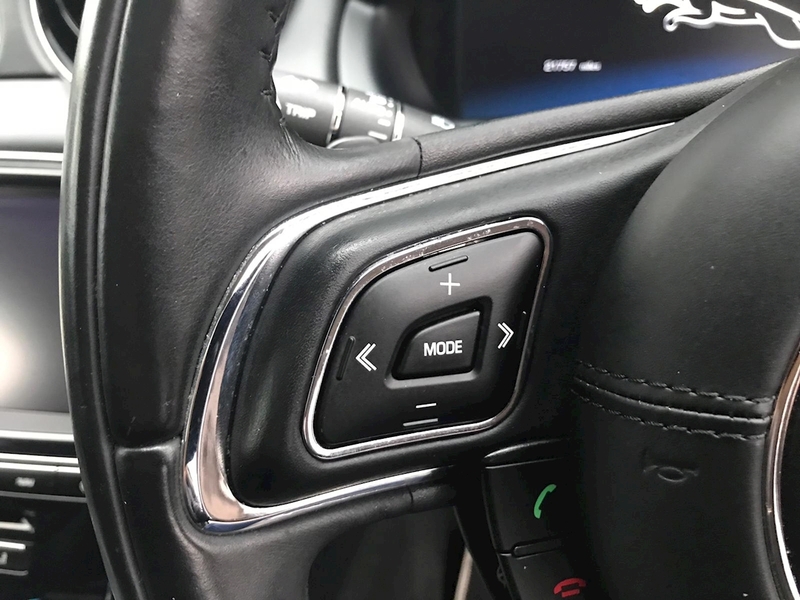 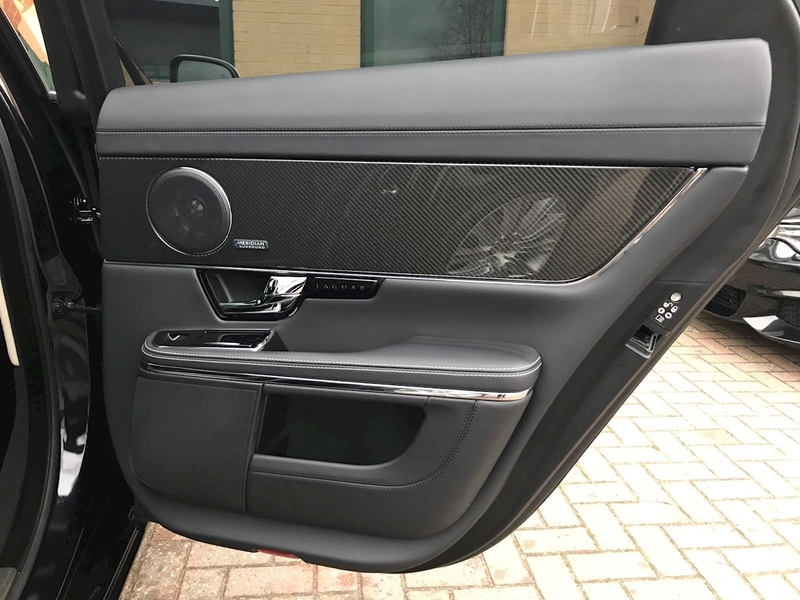 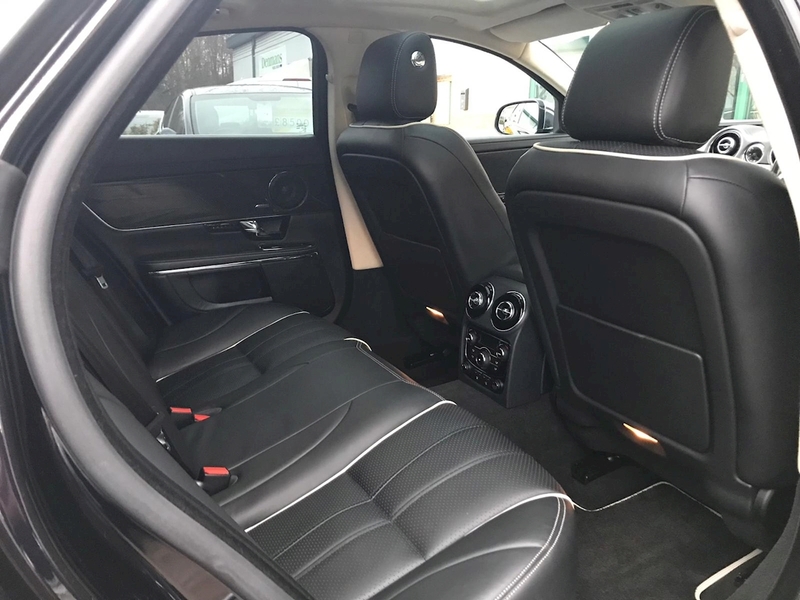 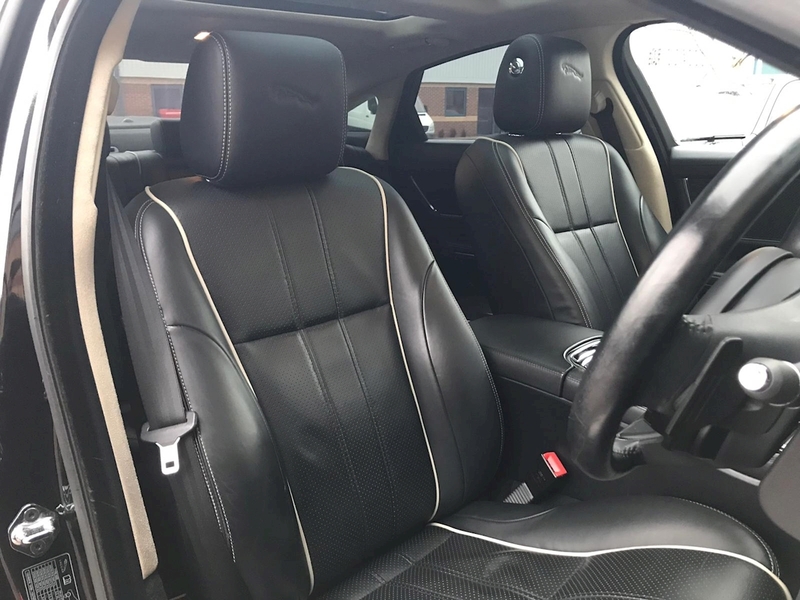 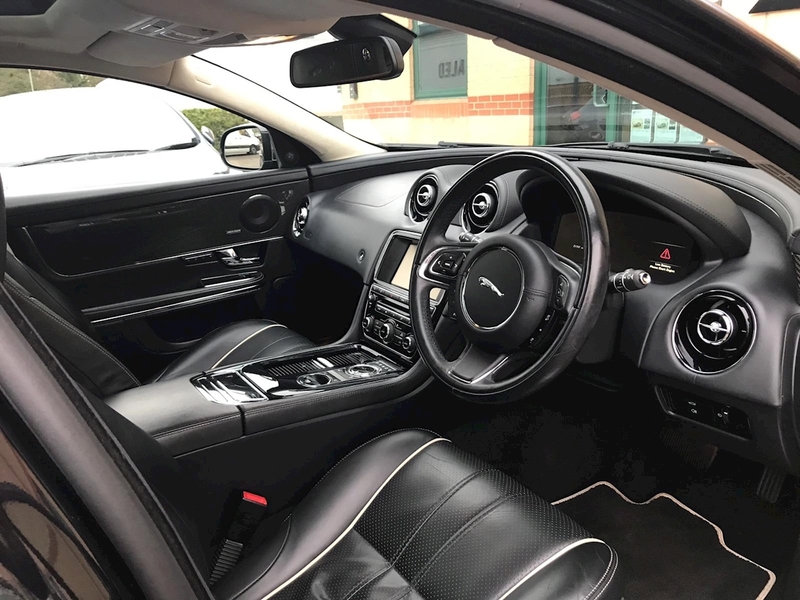 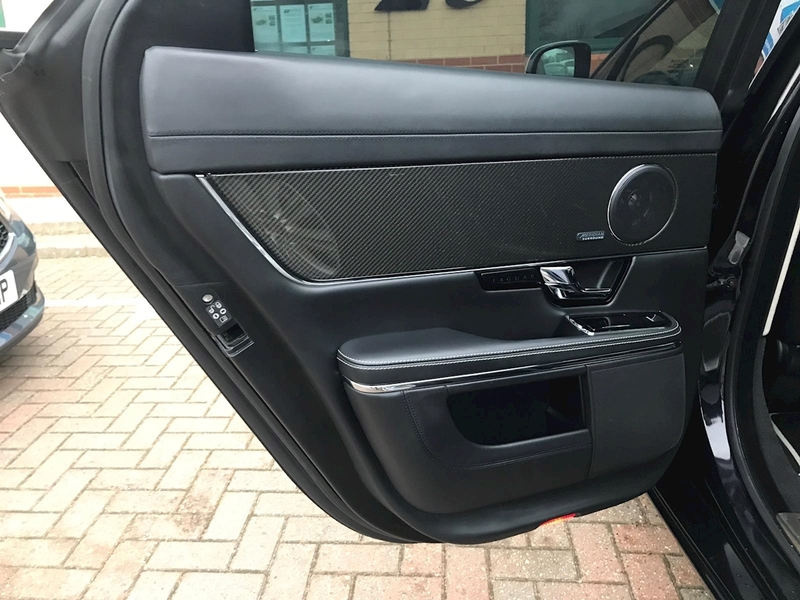 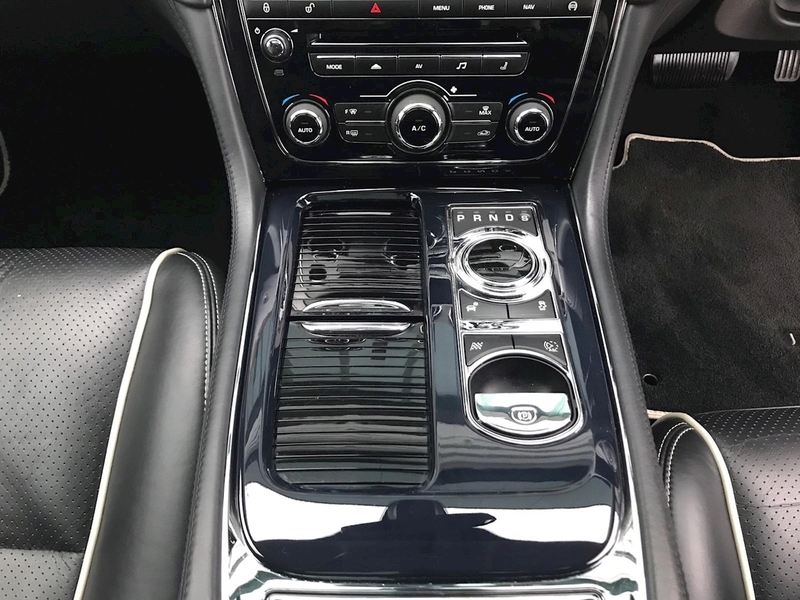 This superb Jaguar comes backed with a full Jaguar service history finished in Amethyst Black Metallic with Jet Leather Softgrain Upholstery with Ivory Stitching, Jaguar Embossed Headrests, Carbon Fibre Veneer & 20" Venom Alloys. 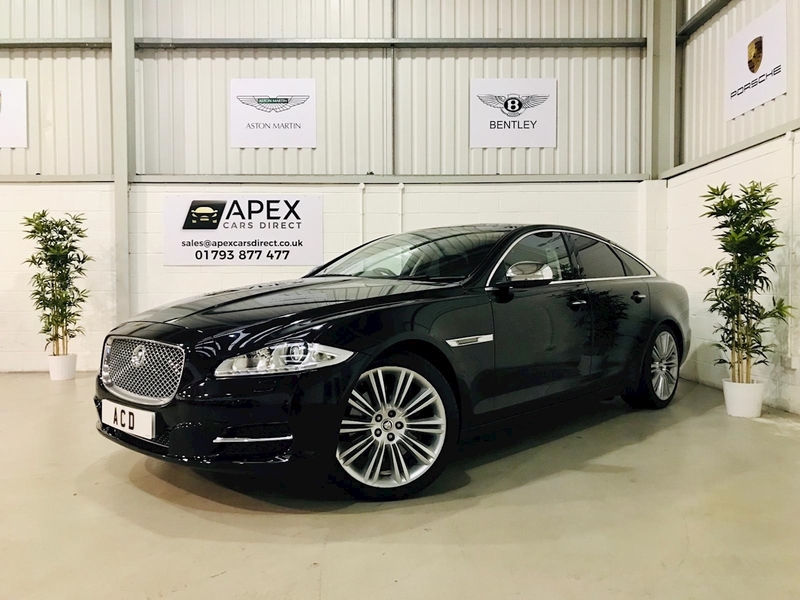 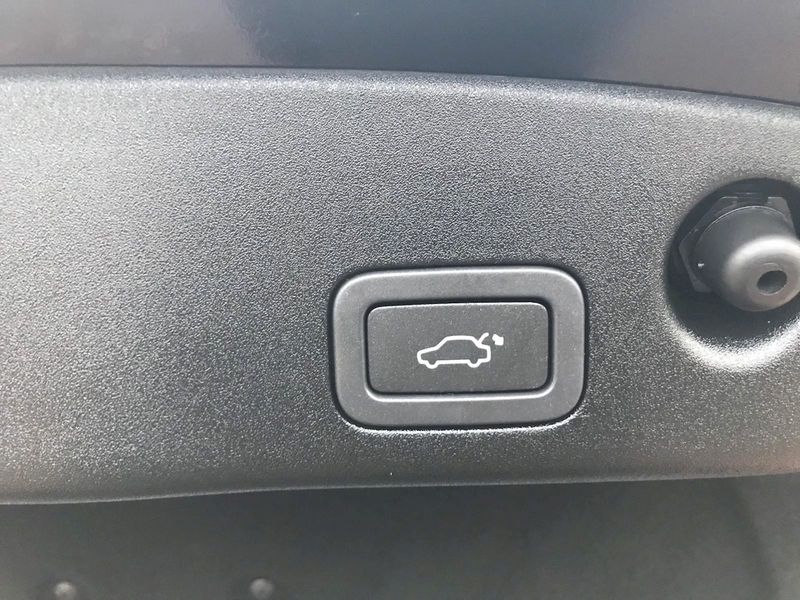 This vehicle will come with a fully backed Jaguar service history, 2 remote central locking keys, 12 months MOT and all the relevant documentation.